With a Hatsuyuki Ice Shaver the possibilities to your restaurants offerings are endless, you will be able to create sophisticated elegant desserts at the touch of a button, Desserts that will have your customers excited enthused and coming back for more and more. 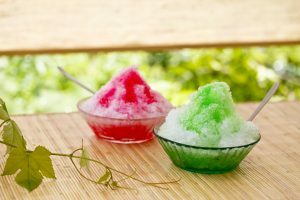 With their roots firmly in Asian countries, Shave Ice is a must for any Asian restaurant. Each cuisine below have their own variations and use unique ingredients. 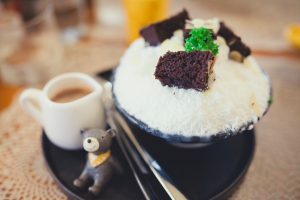 An Ice Shaver will enable your restaurant to offer such traditional sophisticated desserts as..
Kakigori is a popular traditional Japanese Shave Ice dessert flavoured with syrup and sweeteners, kakigori is often complimented with condensed or evaporated milk poured on top of it, similar to a snow cone. 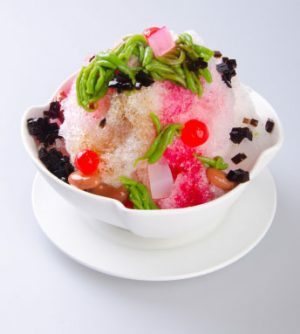 Sold virtually everywhere in Japan, Kakigori would be a fantastic asset to any restaurants offerings. Bao-Bing is a Chinese Shave Ice dessert very common in China, Taiwan and Malaysia, Baobing was eaten as early as the seventh century AD. Traditionally, sugarcane juice or syrup was added to give a mildly sweet taste, examples of other toppings include fruit, azuki beans, sweet potato chunks and peanuts. Traditional, versatile and popular, Baobing will add wonders to your dessert menu. 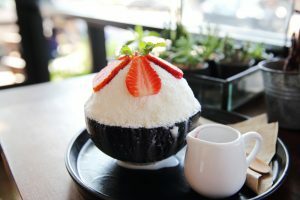 Nam Kang Sai is a Thai dessert version of Shave Ice or Snow Cone, there are between 20-30 different varieties of mixings used, among them are young coconut that has been soaked in coconut milk, black sticky rice, chestnuts, sweetened taro, red beans. Nam Kang Sai is a dessert that will leave your customers satisfied and fulfilled. Gola is Indias traditional version of Shave Ice dessert, often topped with sherbet, syrups or candy and seasoned with salt and black pepper, a huge hit in a the scorching climate of India and no doubt a huge hit in your restaurant too. Other countries and variations include.. Shave Ice is regarded and renowned as one of the Americas most popular desserts and variations include Shave Ice, Shaved Ice, Hawaiian Ice, Snow Cones and Snow Balls in the USA. Making Shave Ice the perfect product for any American diner or American style restaurant. Shave Ice is available around the world in many different incarnations and known under many different names, but one thing always remains the same, its huge popularity. 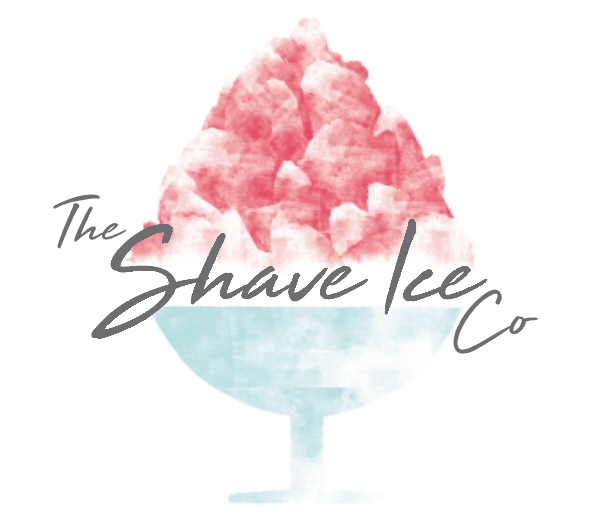 Get Shave Ice in your restaurant today.